Spring break was supposed to be our chance to get away from Fort Rucker for a little bit. I had planned a little road trip to the Lookout Mountain Area of Northern Alabama/Southern Tennessee. 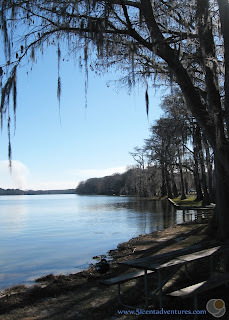 We were going to camp at Desoto State Park. We were going to see Ruby Falls which sounds amazing because it's a waterfall inside a cave. We were planning to take our children on unlimited train rides at Noccalula Falls Park in Gadsden. We were even going to see visit the US Rocket Center in Huntsville. Everything seemed to be lining up perfectly. Not only would the kids be out of school, but my husband had a break in his training too. There was nothing that could stop us from taking at least four days off and heading out on an adventure. Nothing. Until the Army said that my husband had to stay. Good thing I know enough about this Army life to not have made any reservations that couldn't be undone. So now what? My kids are still out of school. My husband is still done with training. We need something to do with all this free time or else we will drive each other crazy. I've been scouring my guidebook, and checking my list of things that interest me in the area. I've even asked the members of the local Facebook page for help. And I've come up with a pretty good list of things that we can do to stay busy. I know I can't be the only one who needs ideas of what to do when they have free time, but are stuck in the Fort Rucker Area. So I've decided to publish my list. I've also included some of the places that my family has already discovered during the 10 months that we've lived here. So here you have a list of 25 fun and inexpensive things to do for a Stay-cation in the Fort Rucker Area. There are a few limits to this list. I've focused on things that are mostly within 90 minutes of the Fort Rucker area. I've left off things to do in Montgomery because there are other blogs with lists about that city. I've also left beaches off of this list. I'm saving all the "beachy" things for the summer when it is so hot that going to the beach is the only option for what we can do. I've also left off things that I consider to be expensive. That's generally something that costs more than $15 a ticket. My family has six people in it, and we are working toward getting out of debt in the next four years. We focus on doing things that are less expensive. That's why this list doesn't include popular attractions like the Montgomery Zoo ($20 for an adult ticket to the zoo and museum) or the Fort Walton Gulfarium ($21.95 for an adult ticket). I've organized this list by distance from Fort Rucker. So lets start with the things you can do on Fort Rucker itself. I've included pictures of a few of the places that we've already visited. Fort Rucker is the home of Army Aviation, and so its fitting that the on post museum is filled with actual helicopters. Anyone with even a passing interest in aviation will in intrigued by the displays that depict aviation history all the way back to the bi-plane days. One of the coolest parts of the exhibit is the Chinook that you can climb inside. *Special instructions: Anyone over the age of 16, who does not have a DOD issue ID card, will need to obtain a visitor pass outside the Fort Rucker gates before they can come on post. You will need a copy of your drivers license and provide your social security number. The process to get the pass can take 45 minutes. But don't let that discourage you from seeing this museum. This indoor pool is used for classes, but it is also available to all DOD personal and their dependents. Just call ahead of time to make sure it is available for free swimming. Hours: Monday through Thursday 10:00 am to 10:00 pm. Friday and Saturday 10:00 am to midnight. Sunday 10:00 am to 8:00 pm. What better way to entertain kids than to let them knock things over with a heavy ball? The Bowling Center even provides bumpers and light-weight bowling balls for children under the age of 10. Hours: Generally sunrise to sunset unless you are staying overnight. 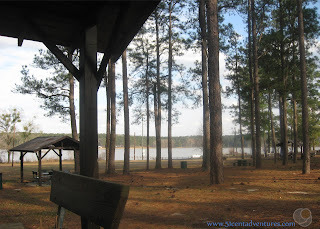 Sometimes Lake Tholocco seems like Fort Rucker's best kept secret. Many people don't know about this beautiful lake that is located on the northern area of post. During the summer swimming is available on West Beach. There are even water slides in place. There are picnic areas that you can use all year long. If you are interested in a night away from home you can stay at the campground or you can book one of the cabins. These cabins are fully furnished and even come with pots and pans. You can also rent outdoor equipment from the Outdoor Recreation Service Center. Now that we've talked about things to do on Fort Rucker lets move on to things to do in the surrounding areas. I've organised these by distance from Fort Rucker. During the spring Country Best Farm lets people pick their own strawberries. Fresh produce is available during most of the year. Sometimes you just need some great ice cream. Milky Moos is the local favorite for homemade ice cream in special flavors. Breakfast, Lunch, and Dinner options are also available. Drive in movies have a nostalgic quality to them. They are also a great way to take young children to a movie without worrying about disturbing the people around you. This museum has several permanent as well as rotating exhibits. I haven't been there yet, but I hear there is a children's area in the basement. Many buildings in Dothan have become outdoor canvasses for over 15 murals depicting different aspects of the area's history. There are also over 60 large fiberglass statues of peanuts scattered around the city. The Dothan Visitor Center located at 3311 Ross Clark Cir has information about where to find each piece of art. Cost: Mini golf is $7 for 18 holes (kids 5 and under are free). Other prices are available on the website. Hours: Generally 10:00 am to 9:00 pm, but open later on weekends. 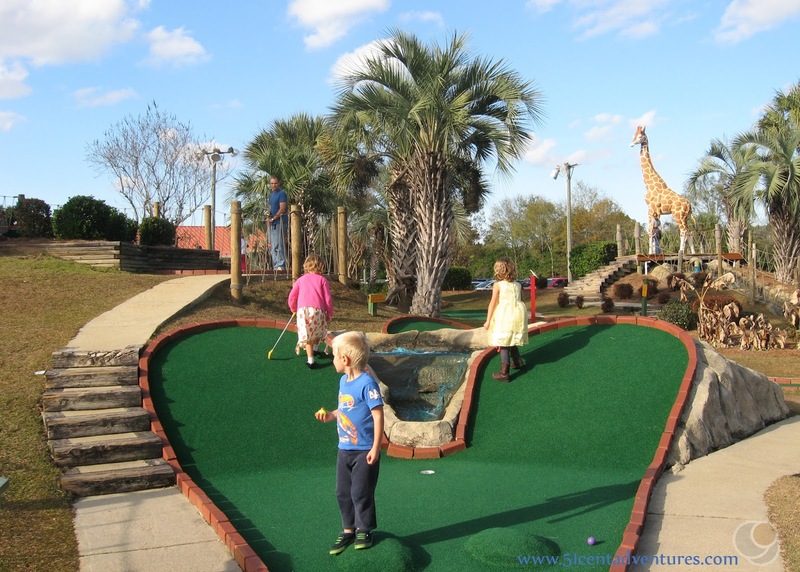 Why drive all the way to Panama City Beach when there is a great family activity place right in Dothan? Adventureland has Go-Karts, Bumper Boats, Batting Cages, and an Arcade. My favorite thing is the Miniature Golf Course that has large statues of animals scattered throughout. Hours: The mall is open from 10:00 to 9:00. 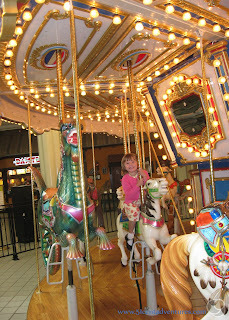 This classic style carousel is located by the food court inside the mall. Cost: $4 for anyone over the age of 13. $3 for children from age 3 to 12. Free for children two and under. Hours: Monday through Saturday from 9:00 to 5:00. On Sunday the hours are noon to 5:00. The planetarium is only open on Saturdays and Sundays. There is so much to love about Landmark Park. 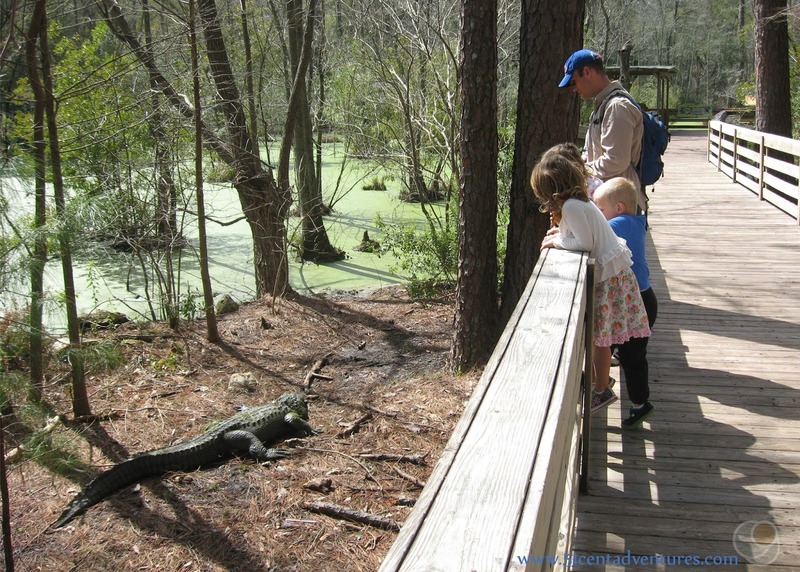 There are walking trails, historic buildings, an observatory, and a fun playground. The trails take you through a wooded wetland. There is a boardwalk with displays about the area. This is a great place for children. Click here to read about my family's visit. *Special Instructions: This is a Blue Star Museum so it will provide free admission to military families during the summer from Memorial Day to Labor Day. 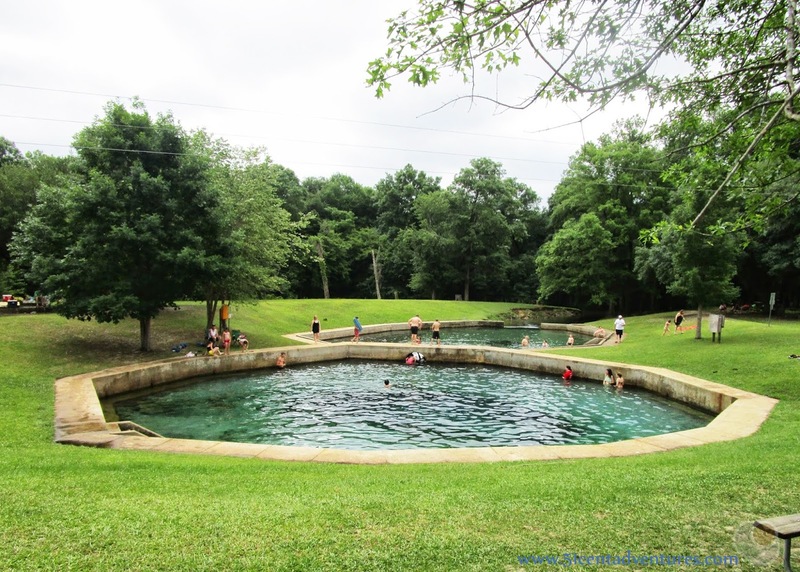 The main attraction in this state park are the duel swimming holes. These holes are fed by springs with a water temperature of 68 degrees. That's a bit chilly for springtime, but is wonderful in the summer. If the water is too cold you can enjoy the trails around the area. This zoo is the most expensive destination on this list. I honestly don't know if we will ever go here. I'm including it because it does sound interesting. The website boasts many exotic animals - some of whom even do tricks. This pioneer museum looks interesting. There are many historic buildings on this property. There are also demonstrations of what life was like for early settlers of Alabama. 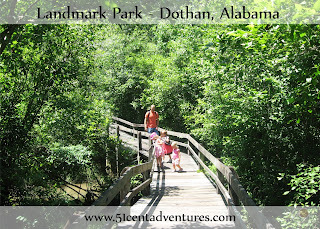 The boardwalk boarders the Conecuh River so there is plenty of nature around as well. 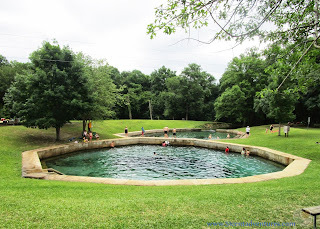 Of all the places on this list this is one place we will definitely visit during our stay-cation. We discovered this museum almost by accident during a drive on a Saturday. The museum was closed so we didn't see the indoor exhibits, but the outdoor exhibits were pretty interesting. 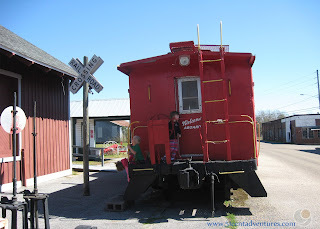 There are historic trains as well as old buildings and homes. 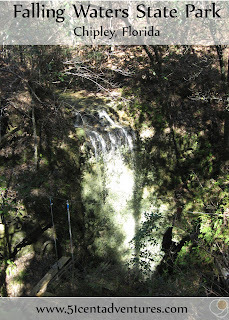 This 73 foot waterfall cascades over a cliff and down into a sink hole. Viewing platforms help you get a good look at the water as it disappears. There are boardwalks that lead to other sink holes. The park also has the pretty little lake with a small beach of pure white sand. Florida has many caves, but most of them are underwater. The cave at Florida Caverns State Park is the only one that provides tours where you don't need underwater equipment. 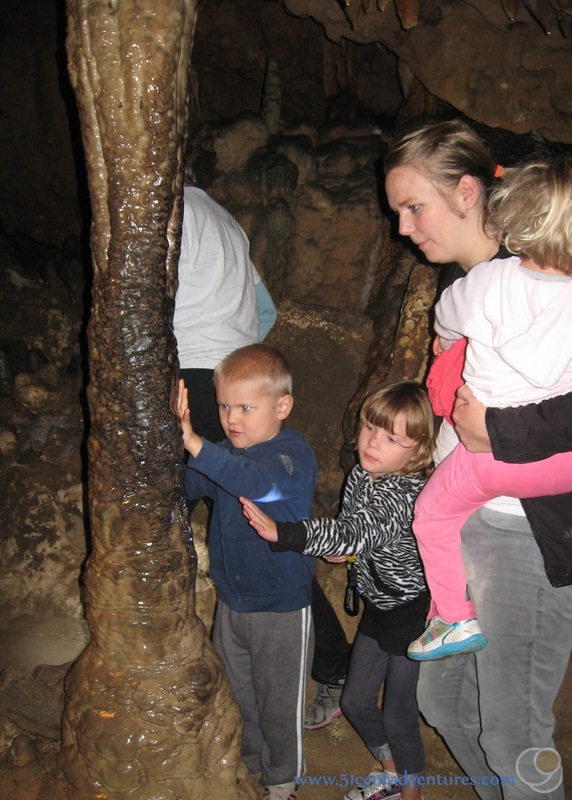 Tours of the cave last 45 minutes and take you near many interesting features. But they aren't the only interesting things in the park. There are also hiking trails, fishing holes, a campground, and a swimming hole fed by springs. Hours: The park is open from 7:00 am to 10:00 pm. The Museum is open from 8:00 am to 5:00 pm. Cost: $5 for parking and then Historic Site Admission is $5 for an adult, $3 for children from 6-17, and free for children under 6. This area was occupied by Native Americans from 350 to 750 AD. The park contains a 57 foot high temple mound as well as two smaller burial mounds. The museum is built over an excavation site. There are also hiking trails around the park. Providence Canyon State Park started out as a ditch in a farmer's field. Over time that ditch and others eroded into steep-cliffed canyons with red and white walls. It all looks like something you'd expect to see out west in Utah or Arizona, but instead it's just over the boarder in Georgia. 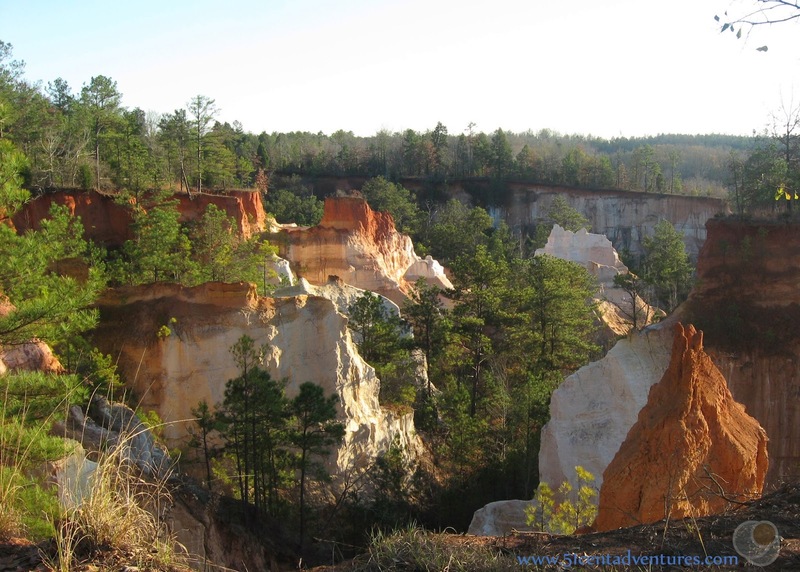 You can enjoy the view from the canyon rim or get up close on one of the many trails through the canyons. There are picnic areas as well. This is a must see attraction for any fan of the book To Kill a Mockingbird. Monroeville was the home of the book's author Harper Lee until her passing a few weeks ago. The fictional town of Maycomb was based on Monroeville. 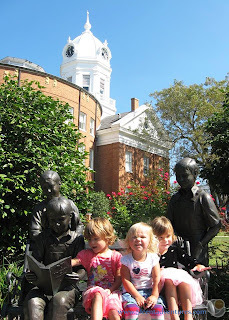 Harper Lee's childhood home is no longer standing, but the courthouse is still there. This courthouse was recreated in painstaking detail for the movie adaptation of the book. Cost: The park is $3 for adults $2 for children and $2 for military. Hours: Park hours are 8:00 am to 6:00 pm. Zoo hours are 9:30 am to 5:00 pm. This place is wonderful. There is a spectacular playground, a train ride for $3 a ticket, plenty of picnic places, and a nature center. And if all that wasn't enough there was is Zoo with many exotic animals and plenty of shaded boardwalks. The zoo is much more affordable than the Montgomery or Atlanta Zoos, so this is a great place to go if you want to see animals, but you don't want to pay an arm and a leg. This Space Center has exhibits about space exploration as well as a theater with different star shows available. Note: There are several inexpensive and interesting things to do in Columbus Georgia, so don't think that this is the only one. I'm including the Coca Cola Space Science Center on this list because it seems like it would be worth the 110 mile drive. Well there you have it. 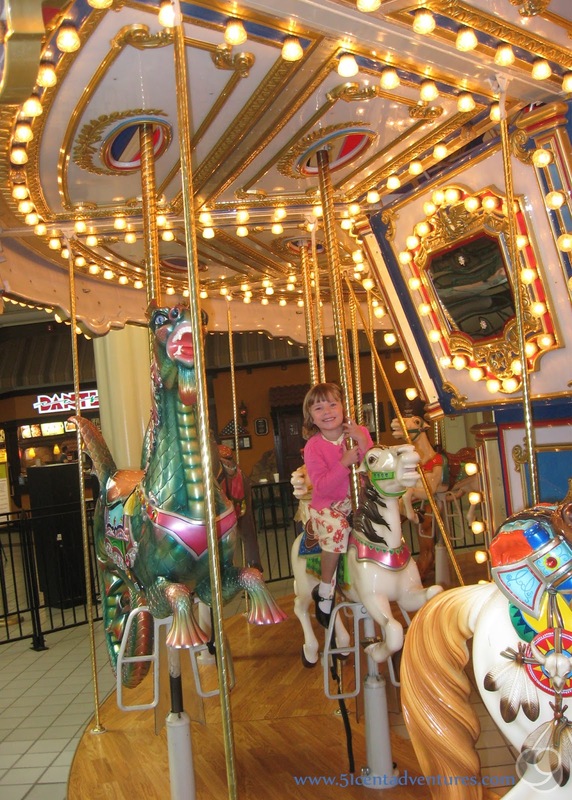 25 things to do when you are stuck in the Fort Rucker Area. Hopefully this will keep you busy for a while.